High-accuracy measurement and have very low detection limits. B-R Controls has been appointed distributor and integrator of the Applikon range of intelligent, online, wet chemistry process analysers for concentration measurement. The ADI 2040 is a configurable, multi-parameter analyser that can include any combination of ion-selective, titration and colourimeter systems. The Alert range is an economical range of analysers that suits many standard applications. The Applikon analysers provide high-accuracy measurement and have very low detection limits, using high-precision burettes for sample delivery. Reagent use is minimised by small sample volumes, lowering the operating cost. The analysers provide 99% uptime and a low maintenance cost. 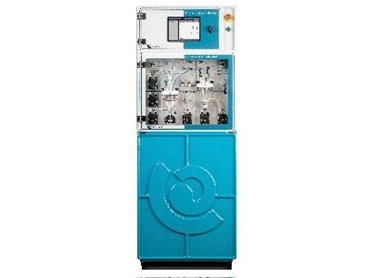 Analysers can be customised to individual process requirements. They provide automatic validation and calibration features as a standard. The analysers can keep a record of the last 300 readings. Optional auto-clean filters and other auxiliary devices can be controlled by the analyser. The analysers are supplied with an IP55-rated enclosure, suitable for harsh environments, with a sealed electronics section. A range of connectivity options are provided. Analysers certified for use in hazardous areas are available.